This is a comprehensive guide for self-publishers that wish to create attractive book descriptions to sell more books. As you can see by looking at the table of contents, it goes beyond a simple Amazon book description generator to create HTML for Kindle and CreateSpace. I’ll share the 7 fundamental basics every self-publisher should know, best practices to save you grief (and likely lost sales), and HTML fundamentals. If you are new to HTML then consider this an intermediate level topic. Read the entire post and experiment on one store before investing time in others. I highly recommend you maintain your book description in Word or some other tool that allows you to edit it without HTML. What a store will accept can vary by store so you need a place to keep the master copy. Change the master, then format or paste into the formatting tool for formatting. This way your description will remain consistent across all stores. You may be tempted to format the description while still in Word. That won't work. For best results copy the text and paste it as plain text into the generator (no formatting like bold or bullets). Focus on readability. Just because you can format a word as bold doesn’t mean you need to. Does your use of headline styles, italics, numbered or bulleted lists make the description easier for the reader to read? Always format to help the reader; aim for clarity and ease of understanding. This is just how Google has decided to show search results. But consider this, stores like Amazon are squeezing more and more information onto their pages and now show only part of a search result—not unlike Google. I’ve seen Amazon book description summary listings with character counts that range from 185 to 650 characters of text. At the low end, those listings have headings and paragraph breaks. The high end of the range is all text. Monitor your listings. Do eBook and print book descriptions automatically match each other on Amazon and Barnes & Noble? No! A student in one of my metadata workshops was surprised to learn that her paperback’s description was showing 148 words in the Amazon store while her Kindle book description showed only 35 words. And the formatting was different. This is something you can control. Another reason to monitor online book descriptions at each store is that the styling can change if the store reprograms how they display listings. All formatting is subject to the design definitions put in place by the website owner. For example, Amazon used to permit orange headings in Kindle listings—but not anymore. Here are 3 universal truths about any website, not just Amazon (or any store for that matter). All websites use HTML, a programming language that tells browsers (Chrome, IE, Edge, Firefox, Safari) how to display a page on a screen. All websites use the same HTML codes to do this. For example, the largest heading on a page is H1. The next is H2, H3, etc. The HTML codes to make text bold, italic, bullets are all the same. Again, on all websites. All websites have creative control over what is displayed when these codes are used. So, while one website may define H1 as black, bold and an inch tall, another website may define H1 as red, italic and a half inch (btw, inches are not the unit of measurement; I use it to illustrate relative size). Why is this important? Because if you use H2 for a heading in a book description entered in KDP (Kindle), that same book description (with the same HTML) will look different when used for a CreateSpace listing. As you see, even on a single website the HTML code can mean different things in differ parts of the website. That’s why it is important to monitor your listings by checking them after they go live, and periodically after that. If there is a tool, use it. For example, IngramSpark and Kobo both have a built-in editor you can use to format your description. Like the menu bar in MS Word, you highlight text, click the B icon, and your text is bold. Whatever formatting options are available are represented in the icons so make sure you use these. Distributors and aggregators live by different rules. NookPress, the B&N self-publishing platform for Nook eBooks does not support HTML. However, if you use the eBook aggregator Draft2Digital to distribute your eBook to B&N’s Nook store, your formatting will be accepted by B&N. The truth of the matter is that most books—at least the ones from larger publishers—get into stores through third-party distributors or directly from the publisher. The playing field for publishers and self-publishers is more bumpy than level. Be careful when relying on community help. It’s natural to turn to the help forums, or Google, to get answers to questions like this. But keep in mind that stores evolve and change their rules (like Amazon’s regarding orange headings). Check the date of the threads and don’t assume the advice you find is the final word. Test it yourself. Just about all the stores support a core set of HTML codes. Again, these codes—called “tags”—are standard HTML (see #4 above) and learning these and how to use them would not be a waste of your time. Nearly all tags require an opening and closing tag. They are the same except the closing tag includes a /. For example, the tag for bold is <strong> (older systems use <b>). To make the word “bold” you would write it as <strong>bold</strong>. It would display as bold. Two exceptions to the closing tag instruction above are <br> and <hr>. You don’t need the /, or closing tag. <br> is HTML for “this is the end of a line” and the <hr> tag inserts a rule. <H2>Heading size 2</H2> (note: you should not use H1 because that’s generally the size for your books title and you don’t want to compete with that.) Additional smaller headings are H3, H4, etc. Stores dictate what they will accept. If you write your description in Word or some other program, copy it, and right click in the formatting tool. Select “Paste as plain text”. Formatting: see the guidelines for the store you are submitting to. This tool is best suited for use with KDP, CreateSpace, Advantage and iTunes (after uploading to iTunes). Keep it simple. Click the < > button to display your description, now with the HTML tags. Copy it. Go to the description field in the store and paste the code. You can edit here if you like but if you make changes to the text, make sure you update your master description. 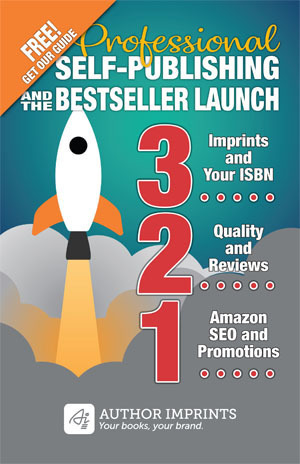 Amazon KDP, Kindle Direct Publishing: Guide here. HTML supported (sample listing, 18 total): line break, paragraph break, bold, italic, headings, bullets, numbered list. Amazon CreateSpace: HTML supported (sample listing, 12 total): line break, paragraph break, bold, italic, headings, bullets, numbered list. A few more codes are available; there is a pop up guide where you enter the description. Amazon Advantage: Guild here, login required to view it. HTML supported: line break, bold, italic. Note: In my experience, their codes don’t always work, or work the way you expect. In this case I contact customer support and they are happy to format the description. Amazon Sellers Central (Marketplace): Guide here, login required to view it. HTML supported: line break. IngramSpark: Uses a built-in editor. In fact, you can click the Source button and then copy/paste the code into another description (see image). Just make sure you are using HTML tags supported by the stores where you plan to paste the code. NOTE: IngramSpark distributes your book or eBook to multiple stores and how it is displayed there is up to the store. My advice is to use their HTML tags, but check the stores to make sure the listing displays properly. Apple iTunes: Guide here. The initial upload of an eBook requires a Mac and iTunes Producer software, or the use of an aggregator (see below). When uploaded the first time, your description needs to be formatted using RTF. Once uploaded, you can use certain HTML. See the guide for more details. Barnes&Noble NookPress: No support for HTML in the NookPress upload process. However, HTML formatting is supported when book and eBook listings come from a distributor or aggregator such as CreateSpace and Draft2Digital. Kobo Writing Life: The description field is called a Synopsis on Kobo. You paste in the text and then enhance the formatting with built-in styling options: bold, italic, numbered list, bullet list, indent. BookBaby: No HTML support for book description field. Draft2Digital: HTML supported: bold, italic, underline. NOTE: Draft2Digital is an aggregator which means they distribute your book to several stores on your behalf. In my experience their HTML formatting is accepted in those stores. Smashwords: No HTML support for book description field. W3 Schools HTML Guide. Whenever I need an example of how to use a particular HTML tag, I go to this website. But many times my needs are simple—I know the tag's name but just need an example how to code it. I type a few keywords into Google and this website usually comes up first!